Welcome to November! Here in south Florida, the humidity is leaving and the seasonal residents (we call them "snowbirds") are arriving! Let's celebrate the new season by entering some giveaways! Visit this page daily to see what contests have been added to the linky below, as well as the right sidebar. 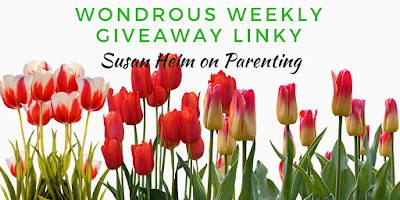 And if you're hosting a giveaway on your blog, feel free to share it in the linky. Don't forget to give this page a shout-out on your social media sites so lots of people can join in the fun!